Wendy Molaska, MD, FAAFP, provides Family Medicine and Obstetrical care as a Clinical Assistant Professor with the University of Wisconsin School of Medicine and Public Health in Madison, WI. 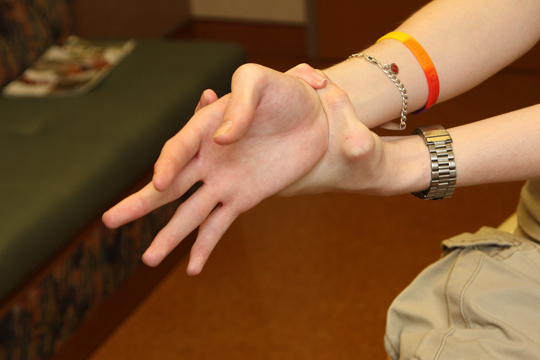 She is a physician and a Marfan patient, thus spending time on both sides of the stethoscope. Medicine is constantly changing, and often faster than doctors can keep up. Your doctor has to periodically update her knowledge, but she also has to see hundreds of patients a week, which means she could be a little behind the times regarding new advances or the details of all illnesses and syndromes.